Microsoft announced Update 3 for Windows Phone 8 smartphones which brings support for larger display 1080p resolution smartphones along with features like Custom ringtones, rotation lock, better storage management and various other features. 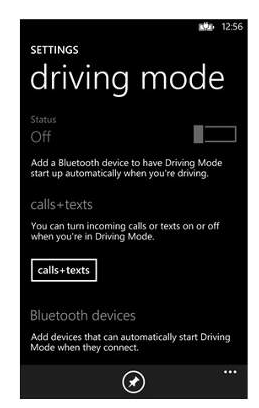 The new update adds a driving mode to Windows phone O.S. where you can add Bluetooth devices like speakers and headphones and you can conveniently switch to these devices by turning the drive mode status to ON. In this mode, your notifications can be limited to avoid distraction. You can also customize automatic replies for people who call and text you while driving. Mobile Accessibility feature has been incorporated for visually challenged people, which makes the phone easier to see, hear, and use. With the new update you can easily pair up your Windows 8.1 devices with your mobile internet HotSpot. Other updates include Easy Close , which allows you to quickly close and switch apps. 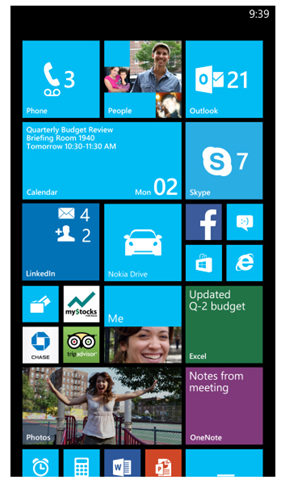 The screen lock feature which Android users have enjoyed for ages now will also be available in Windows Phone. You can also select custom ringtones for Emails, Messages and reminders. Several improvements have been made with respect to Bluetooth connectivity. A new category view shows what’s taking up space at a glance for better storage management. “Windows Phone Update 3 will enable incredible new devices and enhance new capabilities for current users, improving the overall experience and reiterating our commitment to deliver the best to Windows Phone users. Amongst the many new features included is the Driving Mode, which is a must-have for safe, responsible driving.” said Vineet Durani, Director — Windows Phone Business Group, Microsoft India. Android and iOS users have already enjoyed many of these privileges and take them for granted. Windows phone o.s. has lots of catching up to do at a faster pace. The support for 1080p devices was a much due necessity and will allow you to add more tiles to take full advantage of large displays. This also paves way for large sized phablets Nokia is expected to announce at Abu Dhabi next week. Widows phone are slowly gaining acceptability in Indian markets but the platform still has a long way to go. The update will start rolling out next week and will take several months to complete penetration.